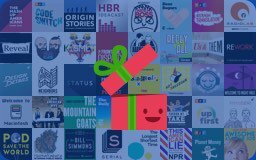 Give the gift of podcasts to a friend, colleague, or loved one! Tell us about them and we’ll send a delightful collection of podcast episodes. your browser to see the latest changes.